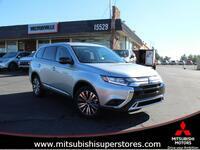 This 2019 Mitsubishi Outlander ES 2.0 will sell fast! This Outlander has many valuable options! Bluetooth Connectivity. -Auto Climate Control -Front Wheel Drive -Security System -Keyless Entry -Steering Wheel Controls -Automatic Transmission On top of that, it has many safety features! -Traction Control Call South Coast Mitsubishi at (866) 314-9311 to confirm availability and schedule a no-obligation test drive! We are located at 2480 Harbor Blvd, Costa Mesa, CA 92626. Friendly staff. Took a minute to notice we were there for my schedule appointment but once they got to us, was in and out. Awesome, very friendly service. Bought my Lancer here and bring it regularly for maintenance. Service team is great. I bought a Mirage here. The salesman was honest and the price was reasonable. So far the car has been running good. I bought a 2015 Mitsubishi Outlander and I have taken it to get serviced for oil changes on the reg. But, I have to admit, I am disappointed the belt broke ALREADY and my NEW car is sitting at the service dept. right now and CARMEN just told me that oops sorry they are just the "Middle Man" and hopefully the Mitsubishi manufacturer will cover my warranty! What's a warranty for if it's doesn't get covered? Anyways I will know more tomorrow at 10am, pray I don't owe $$$$ to fix a new car w/ a warranty... sounds Ironic Ahhh? Great dealership. My salesman Albert was very helpful. I purchased an outlander from him and couldn't be happier. Suggested my friend also check out this dealership when she was looking for a car and she also purchased from Albert. Would definitely buy from here again in the future. Bought a certified used Hyundai today from Art, had an absolutely wonderful experience. Excellent staff and I would highly recommend!!! 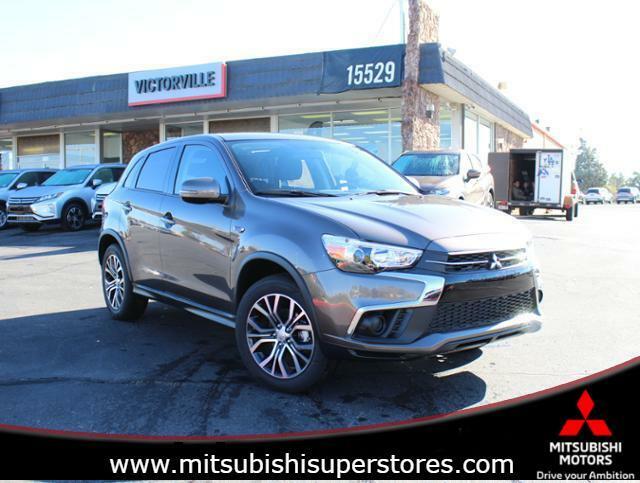 Victorville Mitsubishi made my first car buying experience as smooth as possible.Jairo, my salesman, was the easiest to work with out of every salesmen I spoke to in Victorville, and believe me I shopped around. My perfect vehicle was on the lot, and Fernando in the finance department worked an amazing deal for me.Flawless car buying experience. I wish more people knew where they were, stuck in the absolute worst corner off to the side of the Valley-Hi dealers and such. Great service!! Car my car in and out and done right! Easy to set up an appointment and car gets done in the time frame they say!! Will be back for all my services!!! Took my '15 Lancer for an oil change and tire rotation was really good they saw me the day before Christmas so I was surprised they squeezed me in. The ladies and receptionist was good but I deducted a star for the maintenance guy... I feel he was very unprofessional to not even tell me how my car is doing or even to talk to me about how the job went.